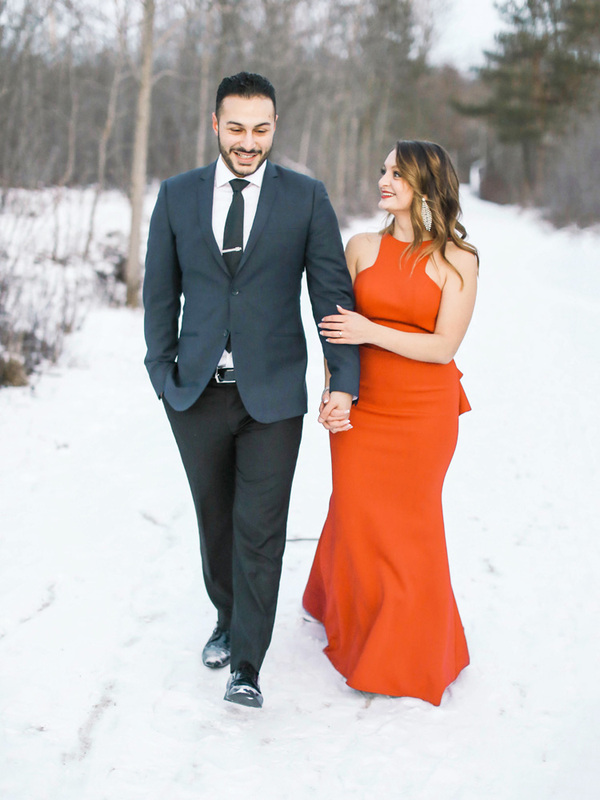 One great thing about Diana Marie Photography is that my other half James is Canadian so it’s such a pleasure to be able to visit Ontario a few times a year to visit family and photograph engagements and weddings. 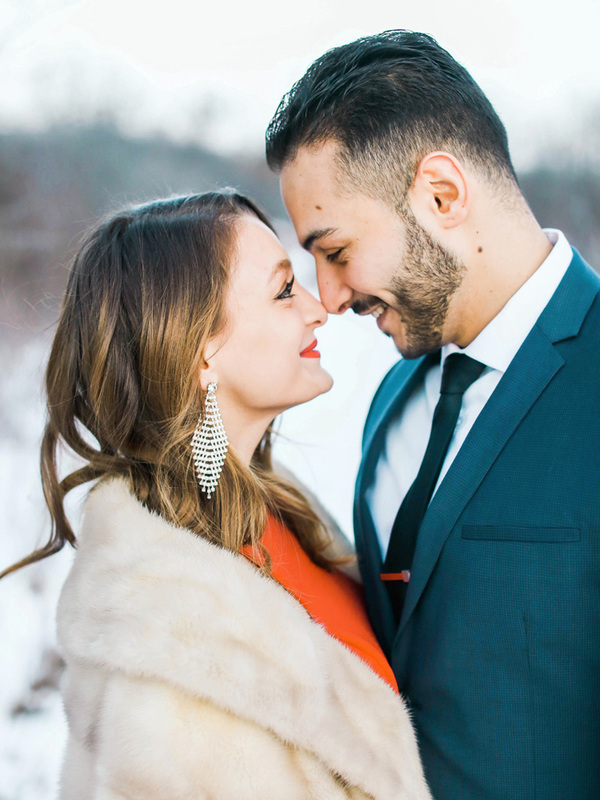 This time we were so happy to meet Eliz and Mehmet and shoot their engagement session. One crazy thing about this session is, though you can’t tell, it was -15 degrees celcius at the time of this session! 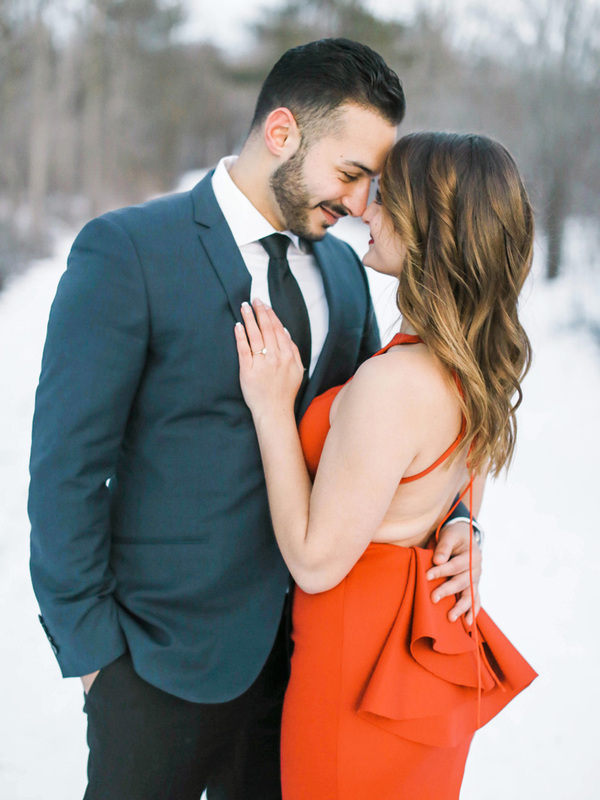 The sun had already set and we used the last moments of daylight to capture some really special photos. 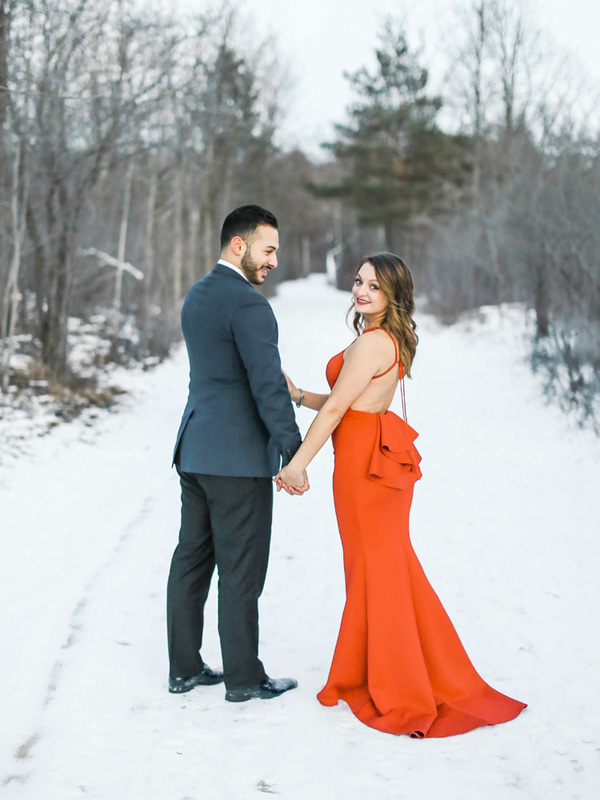 How stunning is her red dress?? ?